Regina Daniels was born on October 16, 2000. Therefore, she only seventeen right now, but she has already shown her skills in acting! What is known about her parents? We only know about her actress mother – Rita Daniels. Regina Daniels mother was appointed to be the chairwoman of the Delta State Actors Guild. It was the most obvious choice for actors as Rita’s dedication to work couldn’t be overestimated. Regina inherited the actor’s gift from her mother. From the very childhood, Regina dreamt of becoming an actress. Luckily for her, Nigeria is one of the pioneering countries in Africa in terms of movies. Nollywood produces around 200 movies every year. Regina’s first movie was “Marriage of Sorrow.” This movie brought her popularity and first money – 10,000 Naira. Regina Daniels did not stop only on “Marriage in Sorrow,” she took part in nine more movie projects! As it was mentioned, Regina’s salary for her first movie was about ten thousand Naira. It was the very first but the most important step in her financial independence. For today, she earns at least 500,000 Naira per movie! Some sources indicate that her current net worth is estimated at eighteen million Naira. She is only seventeen years old, but she does not forget about people who are less fortunate than she is. She created her Charity organization with the name Regina Daniels Foundation. It only shows her kind heart towards other people! Despite her popularity, she does not forget others. 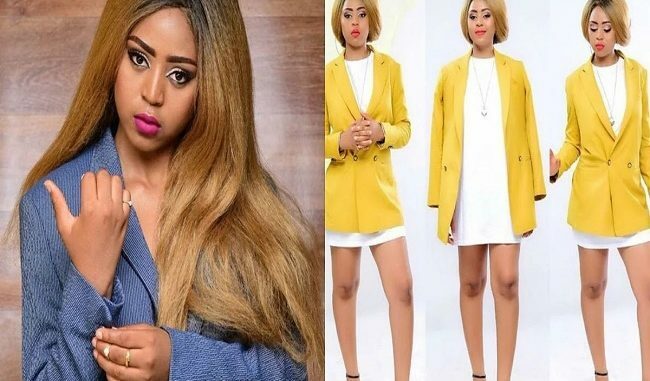 The best part about Regina Daniels lies within her movies! She has received a lot of nominations for her performances: Most Promising Actress (City People Movie Award); Best Supporting Actress of the Year 2016 (City People Movie Award); Best Upcoming Actress of the Year 2017 (City People Movie Award). Do not forget about her movies! Despite her young age, she has already participated in more than 200 Movie projects! Just take a look at the most prominent projects in Regina Daniels biography:Stronger Than The Gods;Hanging Coffin;Tears of Ojiugo;Wipe of Sorrows;The Jericho;The Bat-Man;Python Girl;Royal Covenant;The King and The Python;Twins Apart. Regina Daniels star started to shine at the very early age. She started her acting career at the very young age, and today she continues to develop her acting skills. It provides her pleasure and fills her bank account with at least 500,000 Naira per one movie. It’s only a beginning of her life! We can’t wait to see what will happen next!